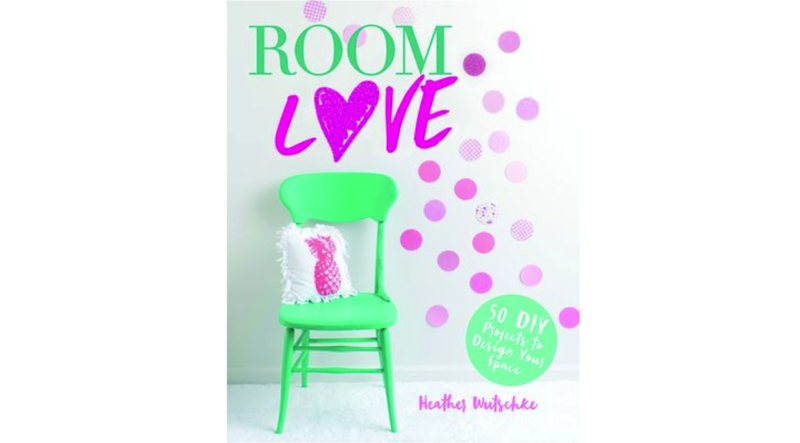 Inspired by the fact that we each spend at least a third of our lives in our bedrooms new title Room Love shares a collection of DIY ideas to decorate and organise your space into one you truly love. Aimed at a Middle Grade audience the book starts out by sharing tips on how to declutter, create mood boards and sketch layout designs to prepare for a room makeover. These preparation tips are followed by a series of DIY projects focused on using easy to access supplies and simple ideas that can make a huge difference to any room. Each tutorial comes complete with colour photos, in some cases including several step-by-step images or before and after shots. Projects included range from painting up an old dresser or recycling cereal boxes as drawer dividers to the more unusual, for example using faux fur fabric to turn your desk chair into something that resembles a fluffy cat! One of my favourite projects from the selection were the room scents made using essential oils and natural ingredients like fresh herbs and fruit. Other projects that particularly caught my eye were the Driftwood Jewelry Hanger and Dream Jar. Whilst I’m not amongst the target audience for the book myself, I believe that Room Love is a fun title full of bold ideas which will encourage young teens to use DIY as a way to make their space truly feel like their own. Ivy, who lives in a world of shape-shifters, has just turned 17. Like all others of her age, she must now go to a trial to determine what her second form is. Her second form will determine the rest of her life. When it turns out her second form is one that hasn't been seen in about two hundred years, she gets put onto a strange and dangerous course. I was kinda worried this book would be another Red Queen and I'd end up not finishing it. I was so happy to be proven wrong! This book genuinely surprised me in good ways. The world was rather easy to get into and, while there is exposition, it's told from Ivy's perspective so we only know what she knows. This really helps the world building feel better paced. A lot of times a single line of dialogue would help explain a lot. Ivy was easy to root for and not just because she's the main character. Going into the test she has no aspirations of greatness. She's not completely happy with the system, but she's smart enough to know when to keep her mouth shut. "The poor can't help but hate the system, and if we tried anything, the noblemen would have us arrested and probably flogged within an inch of our lives." She is strong and determined, if a bit naive at times. She is easily manipulated by others, but in her defense, she hasn't had a lot of experience with the world outside of her orphanage. She makes up for it by learning fast. Really fast. This is a very interesting world with interesting characters. There is a lot of political drama brewing, but I'll have to read more about that in the second book of the series. 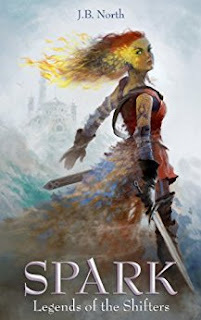 If you enjoy fantasy YA with smart characters and plenty of action sequences, I do recommend this book. There is a lot of fighting but, thankfully, no love triangle, no single teenager leading a rebellion to take down the government, or anything like that. It's simply a story of a young, smart, strong girl being put into extraordinary circumstances, and trying to survive. Just with a lot of magic and fighting. 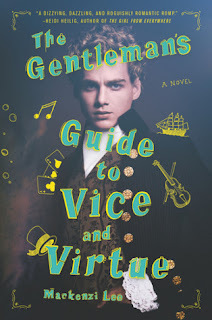 The Gentleman's Guide to Vice and Virtue, by Mackenzi Lee was seriously one of my favourite books of the year so far (and probably still will be come the end of 2017). It was such a fun read and I found myself wanting to re-read it as soon as I put it down. 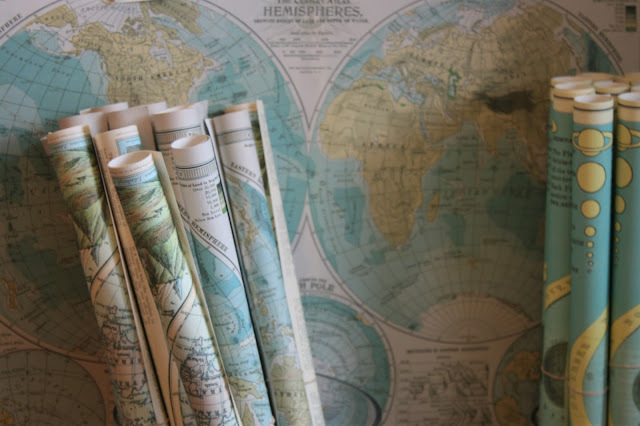 Monty, Percy and Felicity are headed off around Europe for what we might call their big O.E. (overseas experience), or their gap year, and while it seems like a jolly idea, things don't go they way Monty planned. Monty longs for their year-long trip to be one of bonding and exciting adventures around the Continent before Percy is shipped off to college in another country, and Monty has to start being in charge of the family estate. Felicity is meant to be stopping her trip when they get to Paris so she can begin life as a proper young lady, but all she wants to do is go to university and become a woman of medicine. When Monty does something rash (which actually happens on most pages of the book), the trio find themselves on a wild goose chase around Europe with a stolen artefact, meeting strange people, searching for miraculous cures, being attacked by highwaymen and joining a crew of pirates. 'That can't possibly happen all in one book' you say. Well, my friends. It can. We follow book-nerd Felicity as she overcomes womanly stereotypes, Percy as he deals with issues and bouts of discrimination over his race, and Monty has he falls more and more hopelessly in love with his best friend. Beautifully written, The Gentleman's Guide to Vice and Virtue is a tale of friendship, of loyalty, of love, of family, of adventures to be had, and fights to be fought. It's 18th century Europe, it's pirates and highwaymen, it's upper class pomp and prestige, it's hilarious and witty, alarming and exciting, and beautiful and sweet all rolled into one. As you can tell, I really loved this book, and I recommended picking it up if you're into your YA novels (period, or otherwise). 1. 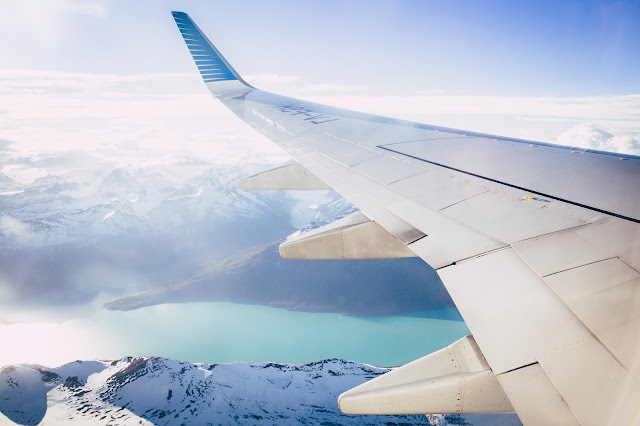 Summer Reads - we recently shared some of our top summer reads but of course you can never have enough good books to read. We loved this post from Alice & Lois with some great recommendations! 2. ...& Even More Summer Reads! - Estee also shared an amazing list of recommendations for the summer months with even more titles to add to your TBR! 3. Your Very Own Book Club - we loved Beth's post sharing her top book club picks inspired by WHSmith's Zoella book club. Which books would you choose for your own book club? 4. One For The Potterheads - if you feel like treating yourself or your favourite Harry Potter fan to something special check out Anjali's roundup of Potter-themed subscription boxes - so many great options! 5. Library Wanderlust - this post is full of ten incredibly beautiful libraries dotted across the globe. Which one would you most like to visit? 6. Best Of Booktube - over at Book Riot Christina shared a list of amazing booktubers we should all be subscribed to. If you have any favourites to add to the list please share them with us in the comments section below! 7. Fancy A Little DIY? - how pretty is this ombre bookshelf DIY from Brit + Co? We think this could be the perfect weekend project! 8. Illustrated Books - for our final link this month we wanted to share Ella's series of beautiful illustrations based on the books shortlisted for the Baileys Women's Prize for Fiction. Which one is your favourite? Aimee de Laurent is a freshly graduated apprentice from the Academy of Mystic Sciences and she's signed up to learn under Harkon Bright, despite rumors about his unusual ship, the Elysium, and her crew. When her very first attempt to send the ship to their destination goes wrong, the crew finds themselves going up against The Eternal Order and one if its star knights, Lord Azrael, in a race to find a jewel that can show you where whatever treasure you're looking for can be found. This book was a delightful experience. The cast of characters are my kind of do-good rogues (they'll do good things, but they'll take payment for doing so). Every character is a character and that's why they work so well together. I'll admit, I'm looking forward to more books in this series so I can get to know them better. I really appreciated that Brassey didn't throw in a love story. This book was all about setting up the world and its characters and he did a great job of it. The story was predictable, but it was still quite charming. There were a lot of things the you could see coming, but the characters were still worth investing in and the full story was a fun ride. What's more is the world this book takes place in. So many possibilities, so many new and interesting things to learn about (seriously, one world has dragons!) and, most intriguingly, potentially a new species of sentient, evil beings. That reminds me, there were a couple of scenes that were a little too much for me, violence wise. Nothing strongly graphic in its description or presentation but still, be a little wary. Another reason I'm looking forward to the next book is to learn more about this amazing world where magic and technology work together almost seamlessly. One of the reasons I love science fiction so much is the technology. This fantasy book has given me a look at some new, wonderful mechanics that are magic based and I want to know more! I really think this would be a good book for sci-fi fans who are interested in dipping their toe into fantasy. 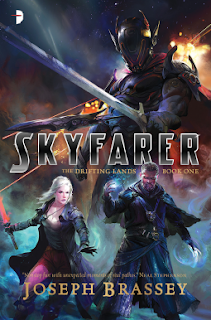 Or for fans of space fantasy who are fans of rogue-like characters. River is the new girl in her small seaside town. She spends her lunchtimes alone in the library, and has yet to make any friends at her new school, but she doesn't care. The only friends she wants are the Graces. The whole town is obsessed with the beautiful, rich, mysterious family. The rumour is that they're all witches, after all. Everyone at school longs to be friends with Summer, Fenrin, and Thalia but River is determined she will be. She finds it a little hard to believe when it works, Summer Grace choosing her of all people to spend her time with, and Summer's brother and sister following suit. Mysterious, witchy, and deliciously dark, The Graces is a story about friendship, self discovery, and obsession. Teenage friendships are often build on a small kind of obsession: wanting to spend time only with each other, texting 24/7, feeling like a limb has been cut off any time your best friend misses a day of school. The very nature of teenage friendship tends to involve a sort of clinging onto each other for dear life, just to make being a teenager more bearable. Laure Eve takes that a step further with River and the Graces, showing the reader a relationship between teenagers who absolutely love each other, but who know in a very real way there is an underlying possibility of darkness to that sort of need and how quickly it can turn into desperation. River worships the Graces, her obsession always an undercurrent in her relationship with them. Above all she has a desire to prove that she is like them, that they share something mysterious and different, that they need each other. 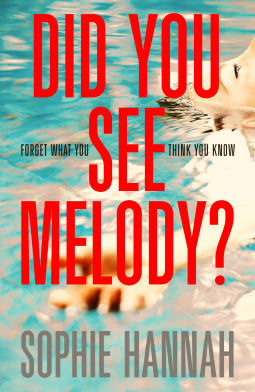 It's a story that starts with a crush and a desire to fit in on River's own terms but slowly becomes something more unsettling, full of secrets and magic. River needs to know if the Graces really are witches, if the rumours around the town are true. But what does it mean for her if the rumours are true? What does it mean for their friendship if they aren't? Even in the moments where River and the Graces are just being teenagers, enjoying each other's company, having the kind of evenings we cherish from our youth if we had them, or wish that we had had if we didn't, Eve's prose feels charged with potential for things to go horribly wrong and a burning necessity for them not to. This is a story that will make your stomach twist and your heart stop. It will absorb you and obsess you. 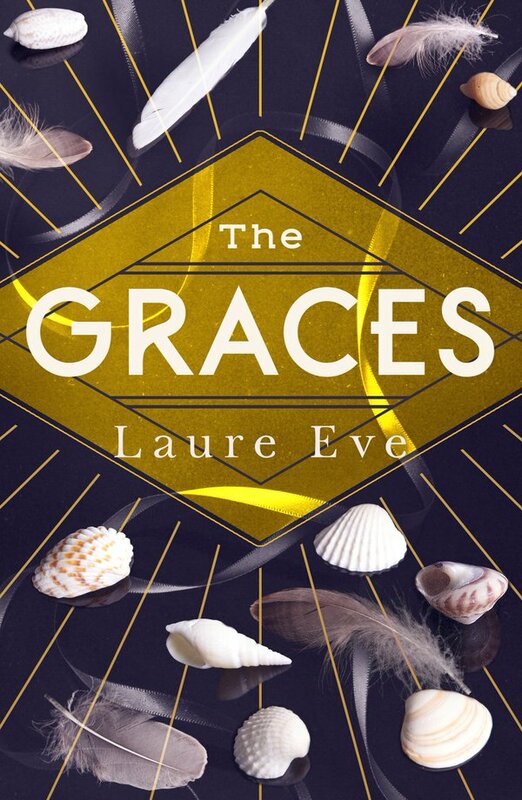 From the very first page, every moment I wasn't reading The Graces I was thinking about it. There is magic of more than one kind in this book. This year, I decided to try a Goodreads challenge for the first time. I’d seen plenty about them on Twitter but always thought that I wouldn’t have time to balance a reading challenge and a degree. 2017, however, would be different, I promised myself. I set myself the challenge of reading 26 books this year. Since I was in the midst of the final year of my degree, that sounded fair. I would need to average a book every two weeks, which seemed doable, even with deadlines and exams to wrangle. It would still be a challenge, but one I could hopefully meet. It seems that I severely underestimated myself. As of July 2017, I have read 48 books this year, according to my Goodreads account. That’s almost twice what I thought I would struggle to achieve in a year. Some of them are novellas or poetry or things I had to read for class but it still counts. I more than achieved my reading challenge for the year in just after six months. Of course I could just extend that goal. I could see if I could hit 60 or 70 books. Maybe even 100. But I think I’m just curious to see how many I would naturally read in a year, rather than pushing myself to hit a number just because. Clearly, my guesses about how much I read are wildly off. Stop buying books. Seriously, I need to ease up on this for a little while. For the sake of both my bookshelves AND my bank balance, I’m going to try to rein in my book buying for a couple of months. Read books I already have. Linked to the first goal, I need to start reading some of the books I already own. I’ve just moved house and all my books are finally in one place again, which means that I can see just how many are sitting unread right now. I’m almost ashamed, if I wasn’t quite so excited to read them! Re-read the Harry Potter series. It’s time. Finish reading the Lord of the Rings series. I’ve only read book one, but I’m keen to finish this series as soon as I can. Focus on non-fiction. I could barely manage to read non-fiction during my degree which means that there are quite a few sitting pretty on my shelves waiting for me to dive in.